North Korea launched its largest intercontinental ballistic missile yet on November 28, followed by a state TV broadcast claiming the missile is capable of striking anywhere on the US mainland. This comes after months of North Korean nuclear weapons tests, leading some analysts to the conclusion that the regime has married a small, reliable nuclear warhead with a missile large enough to carry it anywhere in the world. Even a handful of these is enough to function effectively as a deterrent. All it takes is one strike to snuff out hundreds of thousands of American lives. So, what's next for the Korean Peninsula? We're in new territory here in terms of international relations. The United States, Soviet Union, and other great powers faced off with vast nuclear arsenals during the Cold War, but no nuclear power has been as unpredictable as North Korea. It is, so far, the first rogue state to acquire nuclear capability. The American reaction has so far been to call it a "provocation," and to warn that it will bring us closer to war. But is that true? Would the United States ever risk a nuclear strike against itself or South Korea to take out the Kim regime? And can we trust North Korea to use their new arsenal solely as a deterrent, and not an aggressive tool? How rational is the DPRK leadership? What will China's reaction be, and what responsibility do they have to calm tensions in the region? Frankly, events on the Korean peninsula are unpredictable. 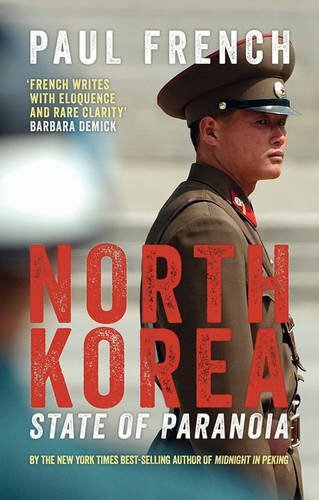 Today's book recommendation is Paul French's North Korea: State of Paranoia.